Whenever a contemporary filmmaker makes a return to the world of a beloved classic film, the task is unenviable. As classic films go, they don’t come much more beloved than 1939’s The Wizard of Oz. Based on the book by L. Frank Baum, the film is about—wait, that’s just it. No one really needs to be reminded of the plot of The Wizard of Oz. Even if you are among the tiny faction of people who haven’t seen it, so many of the film’s key story points are engrained into our collective culture. This weekend, Sam Raimi faces this challenge as he brings to the screen Oz The Great and Powerful for Disney. 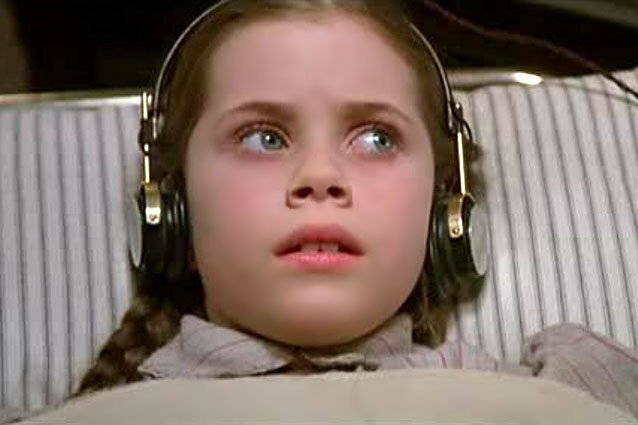 This however is not the first time audiences have experienced a return to Oz; point of fact it’s not even the first time that return has come by way of Walt Disney Pictures. 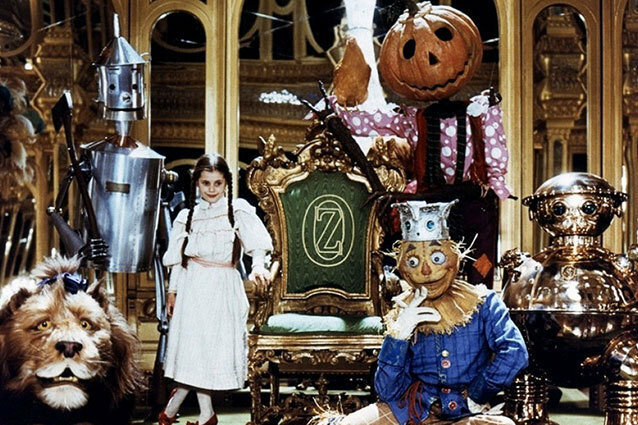 In 1985, Walter Murch directed Return to Oz, which borrowed from two of the other books in the Oz series: The Marvelous Land of Oz and Ozma of Oz. The movie is, shall we say, decidedly different from the Judy Garland iteration of filmic Oz. More to the point, it’s just plain bizarre.Gathered here below are seven of the strangest aspects of one of the strangest gems from our childhood. When MGM added their own flair to the Oz literary canon, it lead to the creation of the wonderful ruby slippers that became indelible to both the 1939 movie and the Oz legacy. When Disney decided to add something new to the literary/cinematic legacy, they went with electroshock therapy. The film opens on the Gale farm, but the sepia tone drabness that characterized the prologue of The Wizard of Oz is suddenly replaced with out-and-out bleakness in Return to Oz, as Dorothy’s family has her committed; seeing her tales of witches, wizards, and fantasy worlds as mental illness. Whimsical! Even though the events of Return to Oz take place after The Wizard of Oz, you may notice that Dorothy looks much younger in Return than she did in Wizard. It may also cross your mind that the young actress playing Dorothy looks terribly familiar. You remember that edgy goth girl from The Craft and American History X? That’s whom Return to Oz’s Dorothy grows up to be! Fairuza Balk’s later roles, and the Hollywood persona she cultivated, retroactively make her casting one of the weirdest aspects of revisiting the film. One can imagine a small child, maybe one who had just seen The Wizard of Oz for the first time, popping in the VHS of Return to Oz and running from the room in terror upon being introduced to the head-swapping antagonist Mombi. Granted, this is an element that existed in Ozma from Oz, but when they were cherry picking which elements from the two books to roll into Return to Oz, why did they opt for a villainess who cuts off the heads of dancing girls and keeps them on display until she decides to put on a new one like a hat? Suddenly the green makeup of The Wicked Witch of the West doesn’t seem so scary. Though The Tin Man does make a cameo toward the end of the film, Tik-Tok is the character who really serves in that capacity in Return to Oz. That clockwork military man is distinctive for his gruff demeanor, metal moustache, and waddling gait. As you might guess by looking at him, there is an actor inside the Tik-Tok suit. What might be slightly less clear is that the actor is in fact a gymnast who is standing on his hands, backwards, and with his legs bent inside the suit. Knowing that little tidbit, it’s hard to watch Tik-Tok walk without thinking of Cirque du Soleil…which just makes everything that much more frightening. When The Nome King realizes that Dorothy has bested him at his own game, he slowly transforms into a giant rock mass that then tries to eat our heroine and her friends. Talk about nightmare fuel, the towering stop-motion villain may somewhat resemble a pile of Play-Doh, but the movement of the figure, the flames behind him, and the physicality of his monstrous chewing makes The Nome King look like a hell wraith. Upon ingesting an egg, which is inexplicably a gnome’s one weakness according to this film, the limestone baddie dissolves until he is naught but a rock skull. It somewhat harkens back to the melting of The Wicked Witch in The Wizard of Oz, if that melting was about ten times scarier. One of the things that is most painfully absent from Return to Oz is The Scarecrow; all of Dorothy’s companions from the first movie in fact. Sure, they turn up briefly near the end, but it is thoroughly disappointing how much their intended larger involvement was marginalized by budgetary issues. Or, based on what we actually behold when The Scarecrow shows up, maybe it isn’t that disappointing. There is nothing that says that the designs of these characters needs to ape those of The Wizard of Oz, but there is something intensely creepy about The Scarecrow in Return to Oz. He barely moves his mouth in his first scene, he sports the fixed expression of a theme park mascot, and he walks like he’s a boogeyman intent on scaring everyone, not just the crows. The Prequel to The Prequels? Return to Oz, in some small way, may have facilitated the creation of the Star Wars prequels. The story goes like this: Return to Oz director Walter Murch was friends with George Lucas. One day, he invited George to come to the set. While there, George wanders off and ends up meeting Rick McCallum on a different sound stage. The two become friends, McCallum ends up producing the 1997 re-releases of the original Star Wars trilogy, and later the prequels. That’s not to say this meeting on the set of Return to Oz was solely responsible for those dreadful prequels, but it’s a pretty freaky coincidence. Oddly enough, Tik-Tok is given a shiny golden makeover for the celebration at the end of Return to Oz, much like the one enjoyed by C-3P0 at the close of Star Wars.